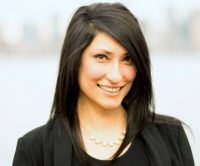 Maryam Mirnateghi has been in the Washington State marijuana business for over five years, first as a dispensary owner in Seattle with Fusion Collective and now as a recreational shop owner. She’s savvy about the wholesale MJ market, and knows what she’s looking for and how to get what she wants. Marijuana Business Daily asked Mirnateghi for insight into that specific niche of the cannabis industry. The interview has been edited for length and clarity. What do you look for in a wholesaler? Variety, price, convenience, a combination? Probably everything you just mentioned. But most importantly I look for consistency. Consistency in how they manage their accounts, customer service, and also in the products that they offer, as well as consistency in their pricing and ability to follow the market. Any suggestions for wholesalers on how to develop lasting relationships with buyers? A lot of wholesalers have sales representatives that work with their retail clientele. As the industry becomes more sophisticated, it’s really important having an account executive who manages the salespeople – and who handles the relationships between the retailers and the wholesalers on behalf of the wholesaler. That person can be in charge of several things that tie together, such as the relationship with the retailer, how they work with them, how to train their salespeople about their products, and how to help the retailers train their salespeople about the product. There are things that require consistency from wholesalers as far as messaging and training go. And an account executive is better equipped to handle all of that than a salesperson who’s in the midst of trying to make a bunch of sales. Things start to fall through the cracks. Are there any holes in the wholesale market that you’d like to see filled by new operators, or is the industry in Washington pretty saturated with supply and growers? I don’t think we’re really saturated yet. And I don’t think that we understand where the gaps are quite yet, because at least in Washington it hasn’t come to the point where it’s fully developed. All of the retailers aren’t on board yet. The medical market is still kind of a side market that’s going on. And we really haven’t seen recreational stores use their medical endorsements yet. So I don’t think we have enough information to do a full analysis yet on what we need for products. If anything in the Washington market, we should be looking at how to use wholesalers and retailers to communicate appropriately on how to do those analyses and understand what we’re going to need. Are there any big regulatory changes on the way that are going to shake up the state industry? Or is it going to be smoother sailing from here on out for the next few years? The only thing that’s been consistent about what’s been going on in Washington is we’ve had zero consistency. Unpredictability is the only thing I can predict in how the legislature is going to move forward and how the state Liquor and Cannabis Board is going to move forward. But now that we have the medical market rolled into the recreational market – and come July, everything’s going to be under one roof – they’re probably going to be looking most at capturing more of the market share from the black market. A lot more economics will come into play. I think what business owners should be getting prepared for is to be more sophisticated in how they operate their businesses, and that includes being more involved with the legislative process and the (Liquor and Cannabis Board) in creating those things. What’s your top marketing strategy/tip? I really do a pretty in-depth analysis of the demographics, such as where we’re serving and who’s coming to the store. And then I assess the different incentives that we have within those demographics. I next assess the time it will take for those particular market segments to adopt (the incentives), and how much marketing dollars I’d need to put towards that and what the estimated return would be. Next, I organize my marketing for each segment, so I’ll have a campaign for each segment. I then organize which campaigns to run together and when, based on the rate of adoption and the rate of return. Do you believe the start of recreational sales in Oregon is affecting the Washington rec market? I think that we definitely noticed a dip when it opened. But looking at it since the beginning of the year it’s starting to even out a little bit. We’re also not as affected by it as some of the stores that are in areas that are closer to Oregon, like the Vancouver stores. They are way more affected by it than the Seattle stores. You could definitely feel it in the southern areas of the state.